RPM is not a PDF interpreter, but should be able to print a PDF file by running a filter and specifying either the Adobe Reader or FoxIt Reader software. Both are available free of charge. 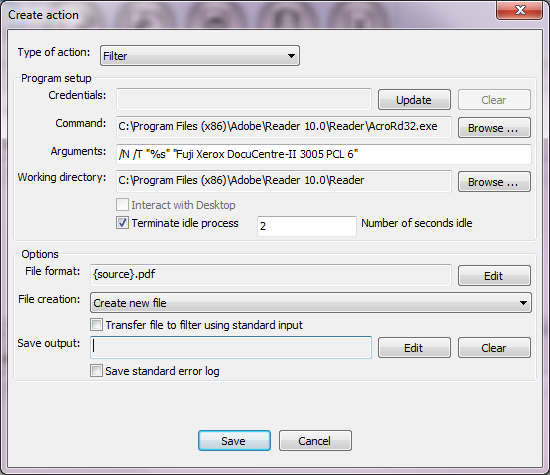 The following web page shows the command line options for Adobe Reader: http://www.robvanderwoude.com/commandlineswitches.php#Acrobat. You probably want to use the “Print a PDF file silently”. 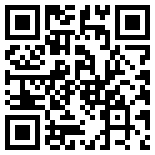 Also, you will need the latest RPM version, 5.0.70.6, as it has the ability to terminate an idle process. The same website has command line switches for Foxit Reader too: http://www.robvanderwoude.com/commandlineswitches.php#Foxit. If you use the Foxit Reader, you probably will not need the terminate feature as you do with the Adobe software.